Old Ruts:Home/Seniors/Changing 2nd XI Captain; who’s the new skipper? Changing 2nd XI Captain; who’s the new skipper? 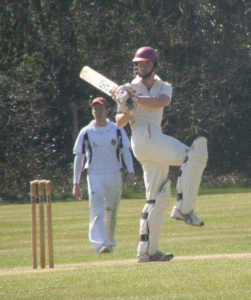 The 2nd XI have been a strong side over the last few years, regularly competing for the top spot in Division 1 and this year will be looking to carry that on with an eye on promotion under new captain Evan Watson. Evan is a life member at the Ruts and is a true representation of what the club is about both on and off the field with his strong all-round playing abilities as well as his humble and highly sociable character off the field. We wish him well this year as captain and hope he can help take the second team forward in gaining much desired success.